I've never watched daytime soap operas.... except, between 1966 and 1969. During those years, I was working at WIS-TV, the NBC station in Columbia, South Carolina. 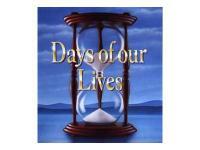 Most days, for some reason, I would find myself in early afternoon sitting next to a TV set, watching "Days Of Our Lives" -- a new soap opera gaining popularity. All of a sudden, before I even realized what hit me, I was caught up in the shenanigans of the Horton family in the fictional city of Salem (no state was ever specified). I became familiar with the whole family and the other characters. I knew Dr. Tom Horton, played by the veteran actor MacDonald Carey, whose voice -- 13 years after his death -- is still heard daily on the opening line, "Like sands through the hour glass.... so are the days of our lives....."
I knew Dr. Tom's wife Alice, played by actress Frances Reid. Interestingly, Reid is still playing Alice Horton.... and she was an older woman back then (in 1966). That was 41 years ago! As near as I can figure, Frances Reid has got to be at least 110 years old now! Every day, I found myself anxious to find out what would happen next to the Horton clan. I remember when Tom Jr. came home from war, disfigured, and with amnesia -- and fell in love with his sister Marie.... and neither knew they were brother and sister!!! Once the truth came out, Marie was so horrified that she left Salem and went to live in a convent. But of all the characters in the show, I liked Bill Horton best. A young, soft spoken, vulnerable character, with a good heart.... who often made unwise choices and decisions. He was played, in an understated way, by actor Edward Mallory -- a name that somehow stayed in the back of my mind over the years, though I haven't watched "Days Of Our Lives" since I moved to Nashville in 1969. 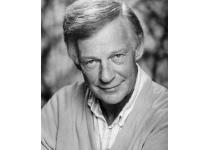 So it caught my attention on Monday when I noticed in the news that actor Edward Mallory had died at his home in Maryland, at the age of 76. And I thought about those sands, passing through that hourglass.